Working as a Senior Editor at Specialty Technical Publishers, I edit environmental manuals each day. It is not only my job to read about ecological issues, I also really care about protecting our environment. 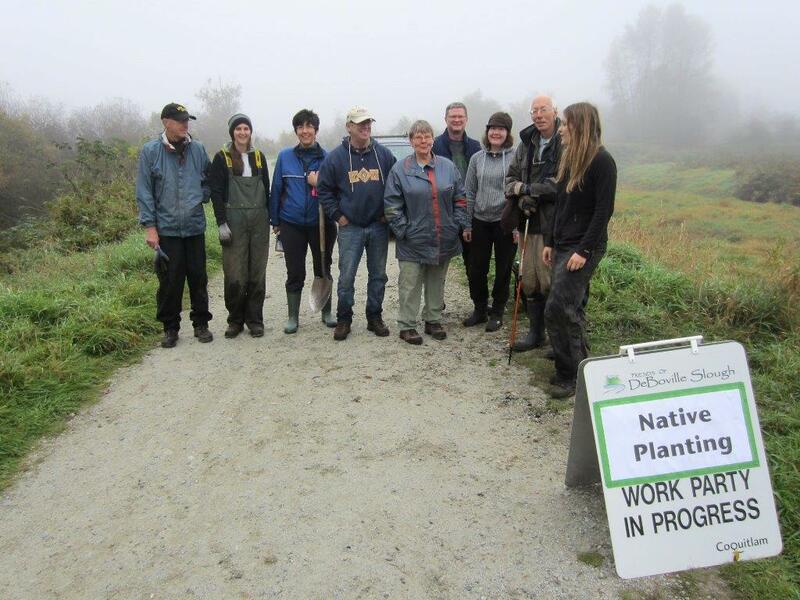 With British Columbia Invasive Species Week (June 9th to 15th) coming up, I thought I’d take a moment to write about an activity that I am passionate about: green volunteering. In my time off, I volunteer with the Friends of Deboville Slough, who are working to remove the invasive plant, Japanese Knotweed, from the Deboville Slough in my community. Making sure that invasive plants do not overtake native ones is necessary to keep nature in balance. Many communities are realizing that plants like English Ivy, Giant Hogweed, Himalayan Blackberry, Purple Loosestrife and others need to be kept in check. These volunteering efforts can help biodiversity and guard against irreversible habitat changes. On volunteering days, which happen about 4 times a year, there is usually a group of about 10 to 20 people who arrive at the slough at 9am. Everyone signs in with a volunteer sheet and learns the basics of Japanese Knotweed removal in a short talk from the organizers. We all get suited up with gardening gloves and are given a choice of either long-handled loppers or small shears. Importantly, any fragment of the rhizome (think “root mass”) can regenerate a new plant, so each volunteer takes a plastic bag for collecting plant parts or some people use a tarp to stack the invasive plant bits on until they can be loaded onto a truck. Since Japanese Knotweed is so hardy, our group gets help from our municipality by way of city trucks for transporting the weeds to an incinerator. Composting Japanese Knotweed would make the problem much worse, as it would spread to new areas via the composted soil. So we all snip and clip the weed, right from where it grows out of the ground, without digging up the root, to prevent rhizome fragments from getting a new chance at spreading. (You might wonder why we don’t just use pesticides, but the habitat that we are working in is sensitive and has a wide diversity of life that we do not want to damage.) After a few hours of this, we often have large green piles of leaves attached to bamboo-like stalks. It feels great to see how much can be done by a small group of people working together. Certain areas that we have worked on in the past are now free from Japanese Knotweed, which is satisfying for those of us who have volunteered for a few years to know that our efforts have paid off. I think many people volunteer for this project because it is just so peaceful to be in the slough, listening to birds and feeling like you are making a difference in this world. I encourage all of our subscribers to not only remain vigilant in their working lives to ensure we are taking care of our shared environment, but also to try to find ways to contribute in their personal lives. Check your city’s website to see what volunteer opportunities are available. You can also look for websites that list green volunteer positions. I am currently working on updates for publications, such as Environmental Auditing: Federal Compliance Guide, Environmental Auditing: Integrated California and Federal Compliance Guide, and a number of other guides that are focused on helping people to do the best possible job of environmental auditing.